The Book To Read: War Works Hard by Dunya Mikhail. Iraqi poet Dunya Mikhail continues to amaze me. I recently read The War Works Hard, Mikhail’s first poetry collection translated to English (beautifully translated by Elizabeth Winslow). The War Works Hard was also the first translation of poems by a female Iraqi poet published in the United States (it was published in 2005). Mikhail was born in Iraq in 1965. While working as a journalist for the Baghdad Observer, she faced increasing threats from the authorities and fled first to Jordan and then to the United States in the late 1990s. In 2001, she was awarded the UN Human Rights Award for Freedom of Writing. When you first look at it, Mikhail’s poetry might seem very simple, but she manages to achieve so much with so little. Her writing is gentle, bare, unadorned, direct. The language is pointed, stark. There’s so much beauty, honesty and love in that – it’s moving, it’s thoughtful and respectful. It’s caring. 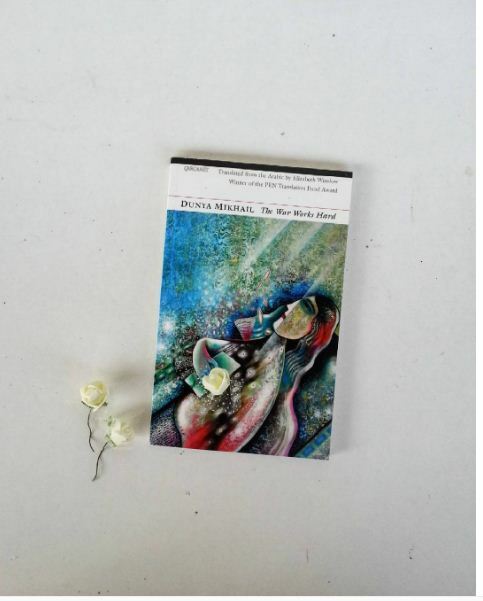 I am thankful to Dunya Mikhail for continuing to write (Diary of a Wave Outside the Sea was published in 2009, Iraqi Nights in 2014), and to Elizabeth Winslow and Kareem James Abu-Zeid for translating Mikhail’s work and making it available for more readers everywhere.